When you visit our West Bloomfield dental office, your smile is our top priority. Dr. Marc Tarnopol and his entire team are committed to providing you and your family with the high quality dental care you deserve. We genuinely hope this site is helpful to you in learning more about our West Bloomfield, Michigan family & cosmetic dental practice, dental conditions and treatments, financial options, dental recommendations, and more. Please browse through our website and be sure to give us a call @ (248) 363-5600, if you have any questions or would like to schedule an appointment. Click Here to schedule your appointment online. West Bloomfield, MI Dentist, Dr. Marc Tarnopol is dedicated to general, restorative and cosmetic dentistry and offers services that include: Invisalign Clear Braces, Dental Exams, Teeth Whitening, Veneers, Dental Implants, Root Canal Therapy, Crowns, Dental Extractions and Emergency Dental Services. Accepting Most Dental Insurance and Offering Dental Financing. 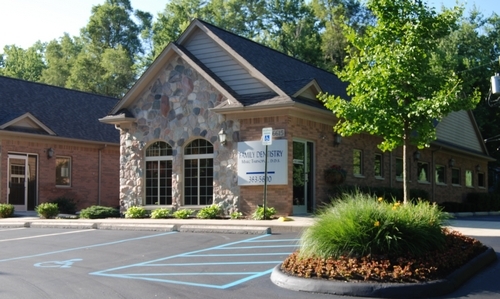 We are looking forward to your visit to our West Bloomfield, MI dental office.